The transformation of ‘stew’ to ‘pie’ by the simple addition of a pastry case or lid is a great one. Although little more than starchy filler, hiding slow cooked meat within the confines of a flour and fat housing does wondrous things to the contents. Wondrous, magical things. A cheap staple food with a lengthy and sometimes less than illustrious history, the pie has undergone a renaissance of late. Artisanal and gourmet offerings now jostle for space alongside mass produced efforts with less than stellar provenance. The pie is becoming a shining beacon of all that is great about British food. Hearty, wholesome and delicious. Food we should rightly be proud of. The most satisfying of pies, though, are the ones that you nurture yourself. A tender, slow cooked meaty filling and a suet exterior that manages to be both crunchy and yielding at once. A barely audible crack as the pastry gives to the pressure of cutlery and a waft of richly scented steam as the contents spill out onto the plate. ‘Double carbing’ is a point of contention. In most cases desire trumps sensibility and a mound of buttery mash will be on hand to capture the gravy. If not then a couple of slices of bread, generously spread with butter, will be needed to mop up the overflow. Once you’ve gone for pie, you may as well ignore the guilt. The best meat for cramming into pastry is a cut that needs slow cooking. Chuck steak, brisket, oxtail or short ribs are all ideal but shin probably tops the list. Half a kilo of boneless shin should be enough for four people and definitely won’t break the bank. Expect to pay no more than 3 or 4 quid. You will also need a favoured pastry recipe. Peel and quarter the onions trying to leave the root end vaguely in tact. Toss the beef in seasoned flour and brown in oil over a high heat, in batches if necessary so you don’t overcrowd the pan. Drain the meat on a couple of sheets of kitchen roll and brown the onions in the pan for a couple of minutes. Return the meat to the pot, add the tomato puree and cook for a couple of minutes before pouring in the stout and stock. Poke the herbs and dried mushrooms into the liquid, cover with a cartouche and cook in a very low oven for 4-5 hours. Add the button mushrooms and cook for a further hour then remove from the oven and leave to cool whilst you make the pastry. Line a large pie dish or a series of individual ones with the pastry, spoon as much of the beef and mushroom filling in as you can then top with more pastry. Brush with egg, poke a little hole in the top and cook for 35-40 minutes at 160-180 degrees centigrade. 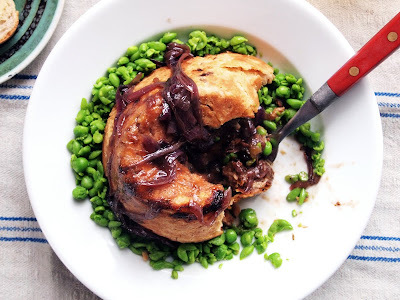 Serve with peas and either mashed potato, bread and butter or both and a sticky onion gravy if you’re craving extra richness. That is an extremely fine looking pie! Well done! Funnily, I don't mind double carbing WITH the pie, but I've seen pie fillings featuring rice and I think that is a carb too far. Nice! Met a chap today who said you should always put anchovies in a steak and kidney pie...oysters too apparently, but i think i might try it with anchovies! oh p.s i loved before sunrise and before sunset too:) sunset abit more than sunrise. Thanks. 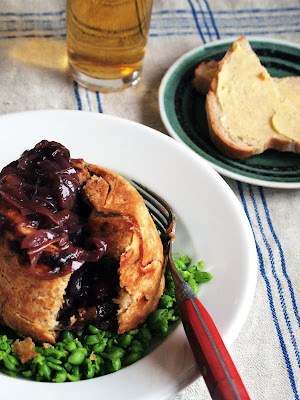 I've been looking for a good Beef & Guiness Pie recipe and this seems to fit the bill. ohhh lordy this looks good. Seriously good. Great crust you have there too mate I have to say. I love meat pies, just love them. The combination of beef and stout is a win-win for me too - I bet that shin is really flavorful too. Great writing, recipe, and photos as usual mate. 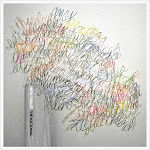 You have one of the best blogs out there. Foodycat - Triple or even quad carbing is wrong. Just plain wrong. Lu - Bisto has no place in the kitchen, let alone a pie! Shame. 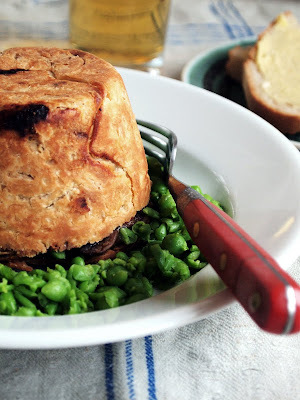 Beef and stout pie has to be one of my all time favourites, yours looks fantastic! I love the presentation. P.S. I've just been watching you on Masterchef, you did great! Pie looks amazing - will definitely be trying that! You did great on Masterchef - your food looked delicious! Just by looking at the picture made my mouth water. I hope I can be able to serve this during the weekend on our small family reunion. I am sure everyone will love it. Thanks a lot for sharing. Kudos to yoU! Hi Alex. The recipe looks great, and I'm going to give it a crack tonight. I would love to try the onion gravy as well. Do you have a recommended recipe for it?